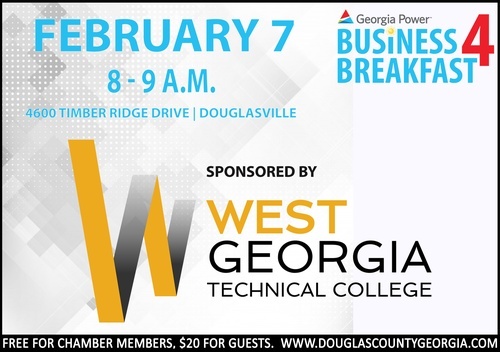 The Georgia Power Business4Breakfasts are held at various member locations throughout Douglas County. The Georgia Power Business4Breakfast is a great way to jump-start your day, as you have an opportunity to network with an average of 100 business and community leaders, while enjoying coffee and breakfast. This event is included in Chamber membership and open to any employees of a member business. Guests - $20.